TUESDAY NIGHT IS LADIES NIGHT!!! Come along and enjoy a well deserved night out with the girls. Relax, unwind and enjoy a good old ‘natter’ with your mates. 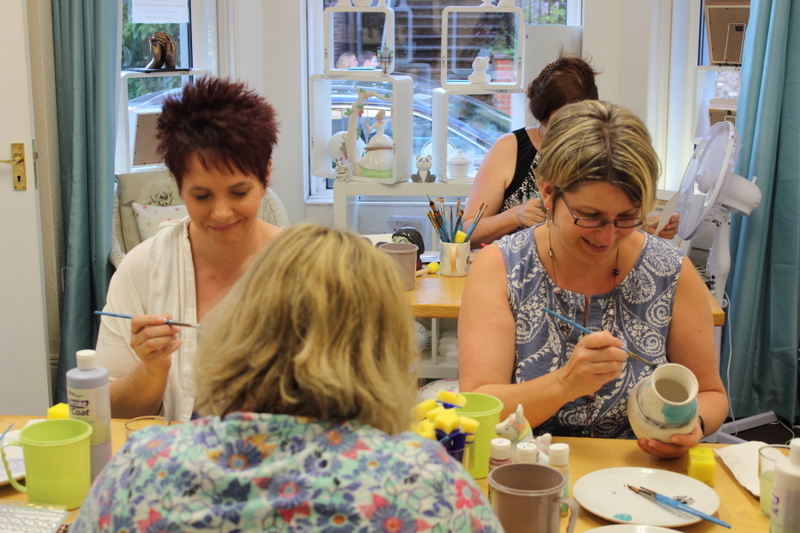 From 6pm – 9pm you have plenty of time to paint a ceramic piece or be creative while designing a piece of crystal glass. Enjoy catching up with your mates and even down, sorry sip, on a glass of wine. 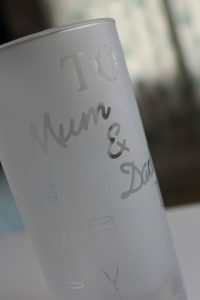 Bring your own drinks and treats, or even order pizza (Dominos Pizza, just 5 minutes walk away). 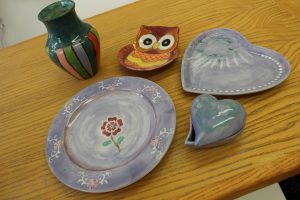 Bring out your creativity, with a little help from the wine perhaps, and amaze yourself with an awesome ceramic piece, perfectly painted, or not, but beautifully transformed in the kiln firing. You will be suitably impressed with the end result, and if not, well, practice makes perfect, so come again. The more pieces you paint, the better you will get at it. Ladies night is always a perfect excuse for getting away from it all. 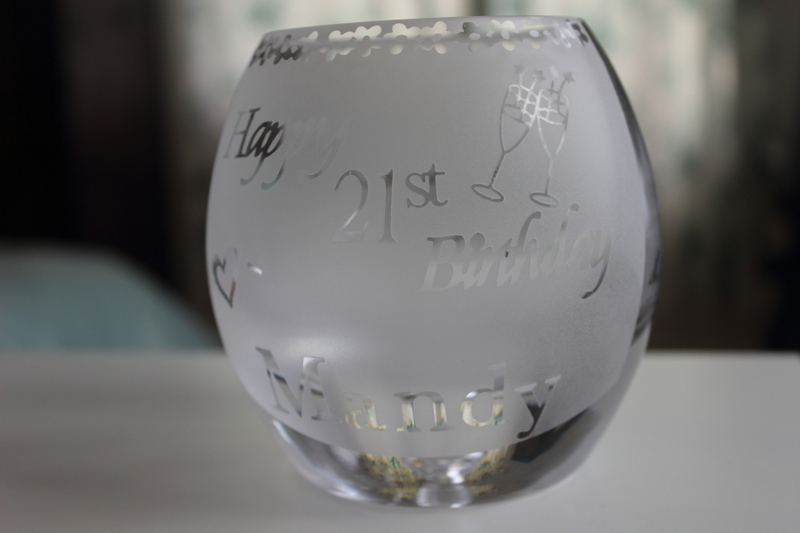 Perfect for adults, our crystal glass range is brilliant and really satisfying to see your design come to life after it has been sandblasted, leaving you with a great piece to enjoy for yourself or give as a gift. A great start to the night out for a Hen Night, whether each lady creates something special for the happy couple to enjoy, or keeps it for themselves, they will have great fun creating their masterpieces. For the ‘After Party’, we are only a short walk away from the station with quick access into London or Guildford, or stay local with some great restaurants in the area. So why look anywhere else for a great start to your Hen night celebrations. Our ladies/Hen nights are ‘Booking Only’, please fill in the form on our ‘Book a session’ page and specify Tuesday Ladies/Hen night and time 6-9pm. At busy times of the year (Easter, Christmas etc) when booking for a Ladies/Hen night or any group booking of 6 or more painters, a deposit of £5 per person may be required to secure the booking. Cancellations will be accepted with a full refund of the deposit, if notice is received more than one week (7 days) before the booking date. Cancellations within one week (7 days) will not receive a refund, however, you can reschedule for another date within 8 weeks of the original date. Come on your own and meet new friends or come with friends and have a bit of fun!